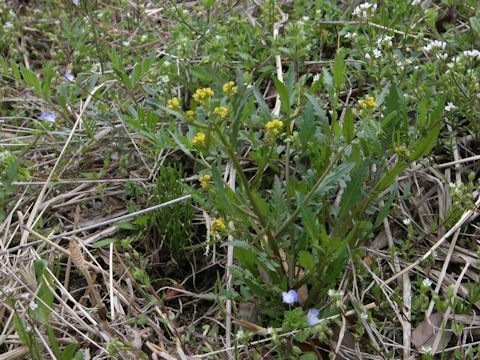 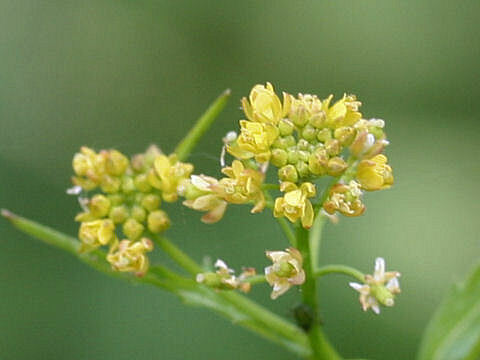 Yellow marsh-cress (Rorippa islandica) belongs to the family Brassicaceae (the Mustard family). 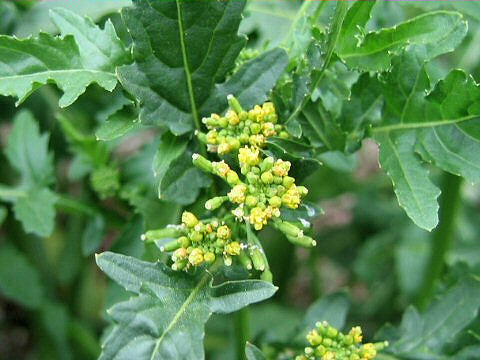 It is an annual herb that is distributed widely to the Northern Hemisphere, including all over Japan. 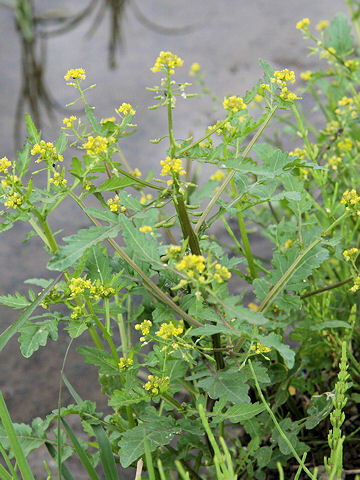 This herb grows in the wet places; rice fields or its linches and it can reach 30-50 cm in height. 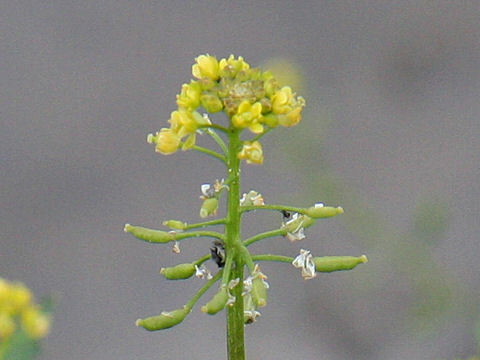 The leaves have variable forms, non-laciniate to deep pinnately. 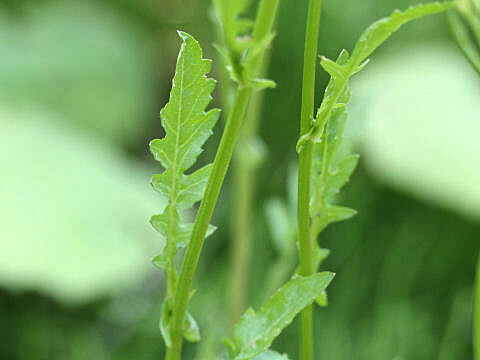 The base of leaf is subauriculate and enfolds stem. 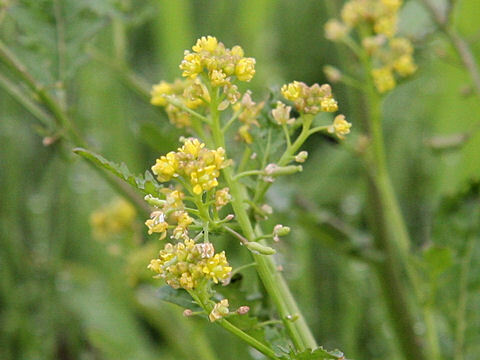 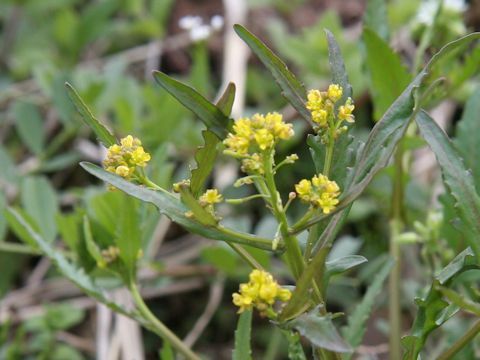 The small yellow flowers appear from April to October. 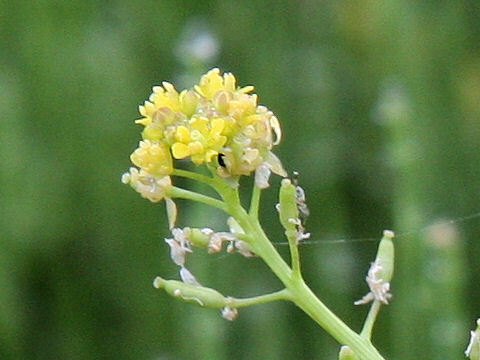 The fruits are columnar 5-8 mm long with isometrical peduncles.